Following its first two award-winning Concours of Elegance events – held at Windsor Castle in 2012 to honour Her Majesty the Queen’s diamond jubilee, and at St James’s Palace in 2013 – event organiser Thorough Events is delighted to announce Hampton Court Palace, near London, as the majestic venue for its 2014 Concours of Elegance. 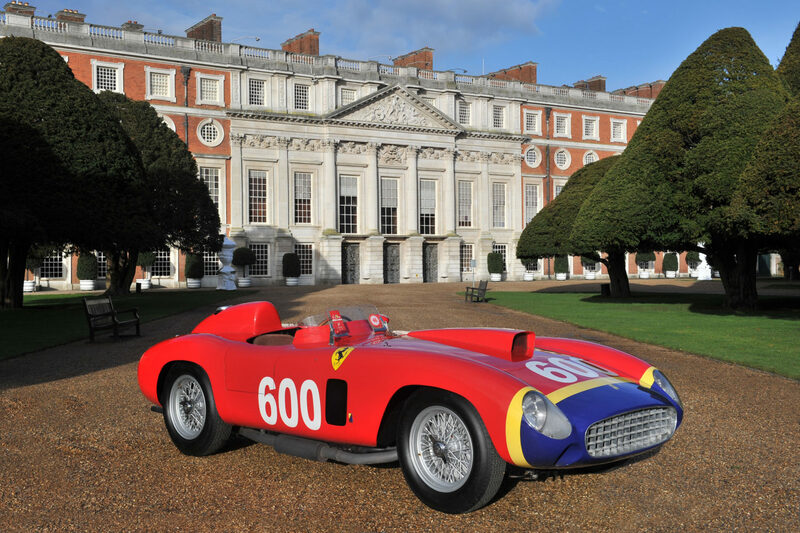 The third international Concours of Elegance will take place on 5-7 September 2014, with 60 of the rarest cars from around the world – many of them never seen before in this country – set to grace the Fountain Gardens on the East side of the historic Hampton Court Palace. Full details of each of the 60 rare and exceptional cars will be announced over the coming weeks and months, with a ‘Car of the Week’ regularly appearing on the Concours of Elegance website and social media. In addition to its unique Royal Palace location, the annual Concours of Elegance differs in other ways from a traditional concours, which usually includes a judging panel briefed to scrutinise each entry and select a ‘winning’ car. The Concours of Elegance organisers maintain that if a car has been invited to participate in the Concours, it is already a winner, with each vehicle owner voting on the other Concours car that he or she considers to be the most elegant car in the event. In addition, more than 350 vehicles from the UK’s leading Car Club will also be on display over the Concours weekend. A key objective of the annual Concours of Elegance is to be a highly successful fundraising initiative, with the 2013 event at St James’s Palace raising in excess of £250,000. The charities set to benefit from the 2014 Concours of Elegance at Hampton Court Palace will be announced shortly. The 2014 Concours of Elegance at Hampton Court Palace will be open to the public on Saturday 6 September and Sunday 7 September, with adult entry tickets available to purchase from Saturday 1 March from £25 per person, per day. Tickets can be purchased in advance at the Concours of Elegance website (www.concoursofelegance.co.uk). Limited edition Concours of Elegance Posters and Concours of Elegance Souvenir Catalogues will be made available shortly.